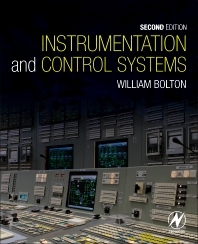 Instrumentation and Control Systems addresses the basic principles of modern instrumentation and control systems, including examples of the latest devices, techniques and applications in a clear and readable style. Unlike the majority of books in this field, only a minimal prior knowledge of mathematical methods is assumed. The book focuses on providing a comprehensive introduction to the subject, with Laplace presented in a simple and easily accessible form, complimented by an outline of the mathematics that would be required to progress to more advanced levels of study. Taking a highly practical approach, the author combines underpinning theory with numerous case studies and applications throughout, to enable the reader to apply the content directly to real-world engineering contexts. Coverage includes smart instrumentation, DAQ, crucial health and safety considerations, and practical issues such as noise reduction, maintenance and testing. PLCs and ladder programming is incorporated in the text, as well as new information introducing the various software programs used for simulation. The overall approach of this book makes it an ideal text for all introductory level undergraduate courses in control engineering and instrumentation. It is fully in line with latest syllabus requirements, and also covers, in full, the requirements of the Instrumentation & Control Principles and Control Systems & Automation units of the new Higher National Engineering syllabus from Edexcel. This book is addressed to all pre-degree students and first year engineering undergraduates who require a general introduction to the principles of instrumentation engineering and control engineering. Students on BTEC Higher National Engineering programmes (HNC and HND) and Foundation Degree.